I endeavour to achieve a vibrant and exciting quality to my creative work with design sources often taken from my Australian or Jewish heritage. 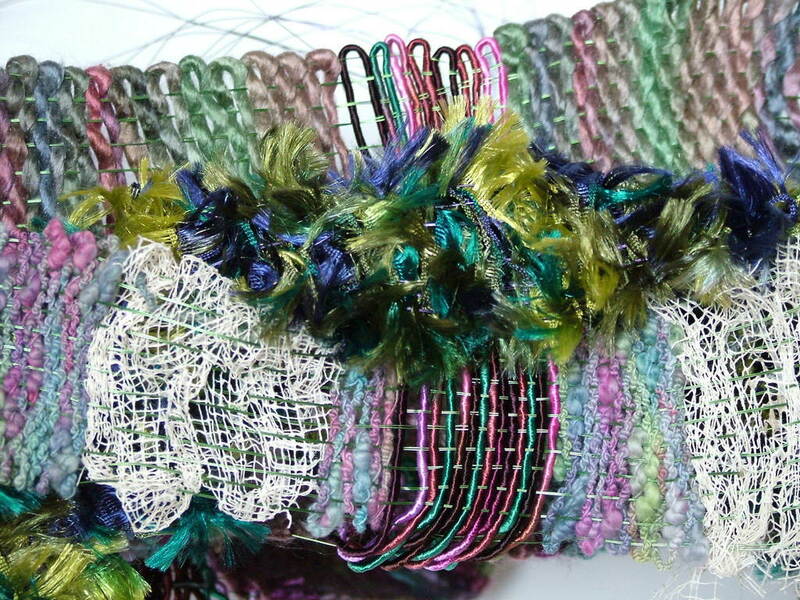 Working with unusual combinations of materials has always interested me and has become a prominent feature of my work. For example, the partnership of acrylic tubes and silk-painted fabrics proved successful when exploring water themes. Weaving and knitting techniques are also regular choices when planning and developing ideas. 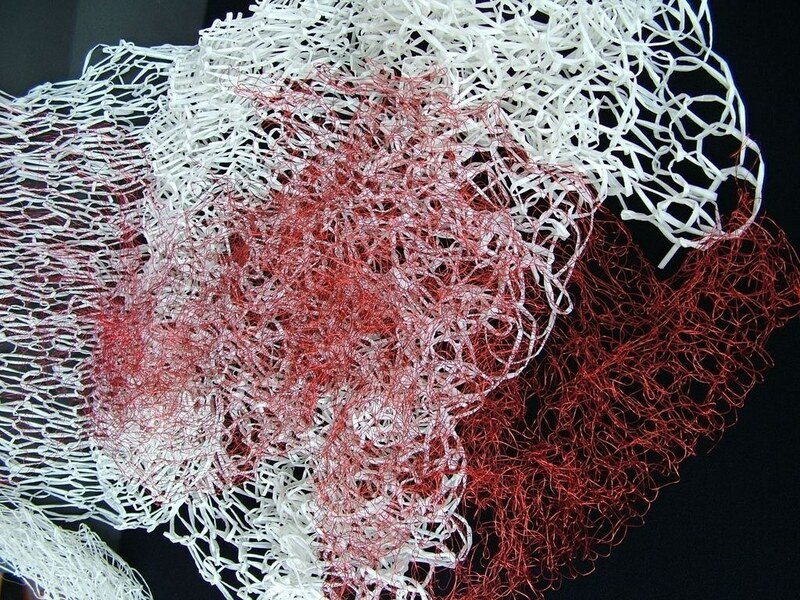 The challenge of working with wire warps or the knitting of unexpected yarns such as bamboo paper, is an exciting concept that I continue to explore knowing that each combination will achieve a unique outcome. In my most recent work I have linked the theme of Collections with my extended research focused on the sea, fishermen and the relationship between man and nature. I have extended my use of multi-layered surfaces to include my own photographed sea images with painted embellished surfaces and stitch. Continuity within the work is achieved through the painstaking recording, collecting and responding to a theme made familiar over time by in-depth research and personal emotional appeal. For Power of Stitch, I have returned to one of my popular themes - water studies. In this new work I consider the relationship between the sea and the men that come every day to fish by the sea wall. 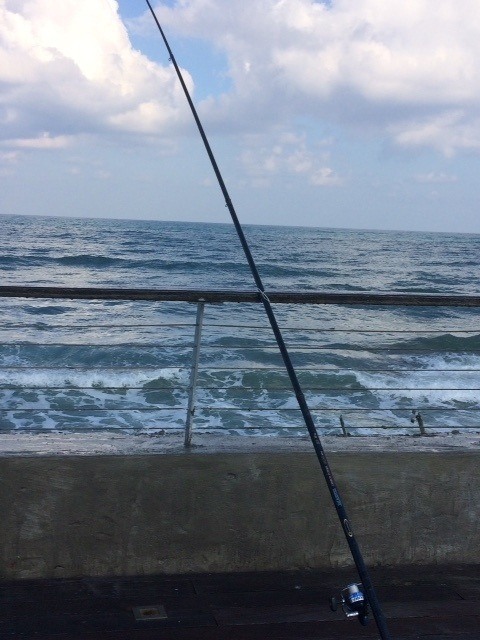 My frequent walks along the Jaffa port and coastline have allowed me to be the observer, the recorder and the collector of discarded fishing apparel. Endless hours of watching the sea in all weathers and the tenacity of the fisherman is inspiring. Combined design and technique themed workshops. Available for talks and demonstrations.